We offer a comprehensive suite of courses spanning the spectrum of personal excellence and emotional wellbeing. These are all informed by the latest research in Psychology and Neuroscience and led by experienced therapists and coaches. Our courses provide tangible insights, practical tools and techniques, together with personalised action plans – all geared towards sharpening your focus and performance when it counts. To perform well, be influential and establish positive impressions on others takes skills, techniques and practice. By joining The Charisma Masterclass, created by Richard Reid and now hailed as the UK’s top personal effectiveness training course, you can release your hidden charisma and become more successful. Richard has helped many people – from CEOs and entrepreneurs to celebrities – to enhance their charisma and switch it on when needed, for instance when talking to the media, performing in front of a crowd, or interacting with staff in the workplace. The Charisma Masterclass has received wide coverage in the press including BBC, CNBC, Bloomberg and Reuters. Learn the skills to bring the best possible you to every situation with authenticity and presence. 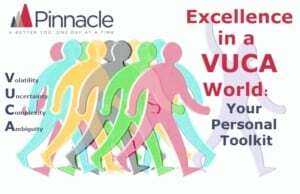 Hosted by Keynote speaker, author and coach, Richard Reid of Pinnacle Wellbeing Services. Richard regularly hosts the acclaimed Charisma Masterclass – a two day intensive workshop. 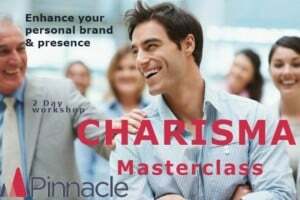 Charisma: The Essentials Masterclass brings you the highlights from The Charisma Masterclass to help bring out the best in you. A better you. One day at a time.